Eugene “Jaron” Sims graduated from Homestead High School in June of 2012. He is the son of Leona Marie Sims who is the Assistant to the Director and Artistic Coordinator. Jaron attended college at Ivy Tech for Computer Technology. He plans to pursue his higher education at a later date. His interest is in technology, movies, games and hanging out with his friends and family. Jaron loves working with people and learning new things. 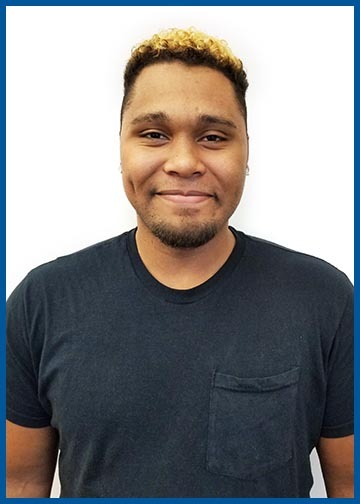 Jaron worked various jobs before joining the UNITY staff and is excited to be a part of this empowering environment.